We have often been told that sound sleep is essential for a sound mind. Lack of sleep can adversely affect our productivity. But if history is to be believed, some of the world’s most brilliant minds did not follow very traditional sleeping patterns. 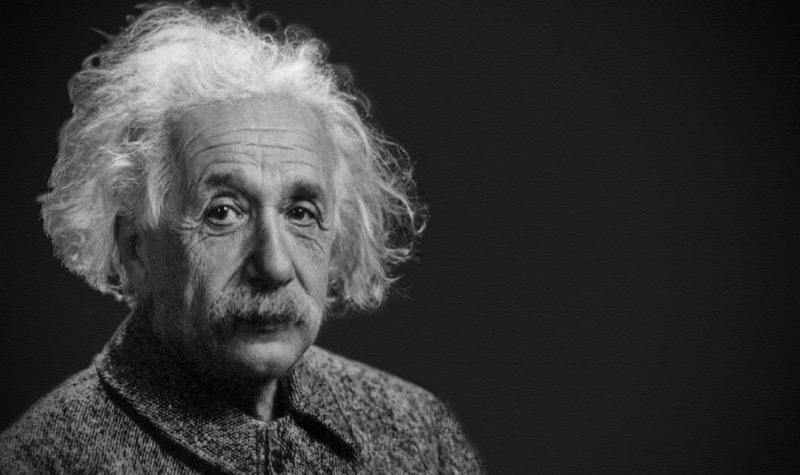 Read on to know more about the sleep habits of the most celebrated geniuses of the past. Mention the word genius and nine out of ten people will think of Einstein. This famous Nobel Prize-winning physicist gave us the theory of general relativity. Einstein believed in sleeping for at least ten hours every night. While most of us would consider this higher than average, Einstein believed in taking naps during the daytime as well. All these facts lead us to believe that a rested mind is the key to a brilliant brain. Nicola was the pioneer of electrical engineering and a brilliant inventor. He invented AC electricity and had close to 300 patents. Tesla’s sleeping habits were the absolute opposite of Einstein’s habits. Tesla did not sleep for a more than a few hours during the night. He, however, made up for this by taking regular naps during the daytime. Tesla used to suffer from nightmares as a child, and this probably the reason why he formed the habit of sleeping so little during the night. Nicola Tesla was also known to curl the toes of each foot a hundred times before he went to sleep as he believed this helped stimulate his brain cells. Leonardo Da Vinci, the famous inventor and painter, is known for his most famous painting – The Monalisa. He is also known as the most talented individual in history and the Renaissance period. His sleep habits were as innovative as some of his inventions. He followed the polyphasic sleep process, which is also known as the Da Vinci Sleep Schedule. This sleep schedule involves taking five short naps lasting 20 minutes during 24 hours. So, he slept for only five hours during a 24-hour day. The main advantage of following this sleep schedule was that Da Vinci didn’t have to spend long periods of time being inactive. Most people would not be able to sustain on such little sleep, but then Leonardo Da Vinci was not a regular person. Emily Bronte, the famous 19th-century poet and author, suffered from insomnia. She had so much trouble going to sleep that she would circle the dining table to tire herself to sleep soundly. However, this sleep depreciation certainly did not affect her writing skills. Charles Dickens also suffered from insomnia. He had developed some strange cures to deal with his sleep habits. Dickens would make sure his bed always faced north. In fact, he would always carry a compass to wherever he went to ensure that his bed was placed correctly. He would also go on long walks during the night to help him sleep better. These walks would often turn into epic adventures. The famous Spanish artist and surrealist icon, Salvador Dali thought sleep was for birds. He preferred to sleep on a chair with a key in his hand above a plate. As soon he would fall into deep sleep, the key would fall from his hand on the plate. The resulting sound would wake him up. Dali felt this type of hypnagogic sleep helped to enhance his creativity. Churchill was known for his bizarre sleeping habits. He believed that naps were an essential part of successful governance, so he kept a bed in the House of Parliament. Churchill was also famous for having a whisky and soda at 5 pm every day, which was followed by a two-hour nap. He managed to do only a half days of work in 24 hours thanks to his strange sleeping habits. Thomas Edison, the inventor of the light bulb, believed that sleep was a complete waste of time. He would go to great lengths to reduce his sleep time as much as possible. Like Da Vinci, he also followed the polyphasic sleep cycle so that he had more time for his work. Most of these geniuses followed one of these two sleep patterns. Let us learn some more about them. Many of these geniuses preferred to sleep in a polyphasic manner. Also known as Uberman’s sleep schedule, this involves sleeping up to 5 hours a day in short naps of 20 minute each. According to this theory, sleeping for shorter durations can train the brain to reduce its need for those parts of sleep that are not necessary. However, before you think of adopting this schedule, you must learn about its advantages and disadvantages. You need to follow a fixed schedule to follow this pattern. You must take your naps at the same time during the day. Following this pattern of sleep is difficult. Biphasic sleep pattern involves sleeping for seven to nine hours daily, split into two phases. Most people who follow this pattern sleep around six to seven hours in the night, and a nap of about 20 minutes during the day. Though most geniuses of the past used to follow unusual sleep patterns, there is no research to suggest if their sleep schedule helped them with their creativity or brilliance. It would not be wise to follow these patterns in the hope of improving your brain power. Regular sleep of at least eight hours a day will work better in keeping you healthy and improving your concentration. NextWhat is Dave Chappelle’s Net Worth After All These Years?